Luxembourg may not be the largest country or biggest European destination, but it’s a hidden treasure with so many beautiful sites. 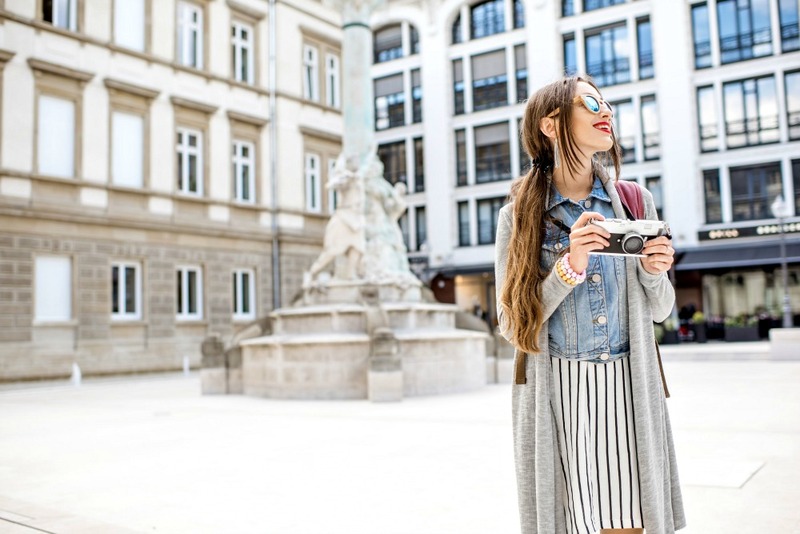 Before you head on your trip, learn what to wear in Luxembourg so you can fit in with the locals and look stylish! Tucked away between Belgium, France and Germany, Luxembourg is a frequent tourist stop through Europe. Well-known for its thriving economy, Luxembourg would argue its best treasure is found outside the capital, Luxembourg. Due to its central location, Luxembourg is a frequently visited escape into nature for its neighbouring locals. With a plethora of hills, river strewn in between castles, rock formations and vineyards, Luxembourg is a true gem. Luxembourg is also a well-known destination for food lovers with more star restaurants per capita than anywhere else in the world. With excellent public transport options, Luxembourg is easily visited on everyone’s budget. Here are more tips on packing for Europe! Style in Luxembourg doesn’t differ much from its very neighbouring countries. Best known for the international and banking scene, the style in the capital Luxembourg is an elegant and classic look. While Luxembourg is an amazing city to explore, a visit to Luxembourg is not complete without diving into its beautiful nature. Separate attire is required to experience it to its full extent. Check out these tips if you’re traveling to Europe for the first time! Being located right in the middle of Europe, you need to be prepared for cold and grey weather at all times. Visiting this part of the world is all about layering. Two essentials to pack throughout the year is a scarf and an umbrella! Add a waterproof jacket and shoes that can endure a lot of walking and you’re good to go. A visit to Luxembourg always implies a high chance of rain during your trip. Regardless of the time of year, packing a pair of shoes that can handle rain is essential. Throughout most of the year, a leather (or faux leather) boots will be ideal. To combine your boots with most of your outfits, we recommend a pair of ankle boots! A must-do is heading out into nature and experiencing a few beautiful walks for which hiking boots are recommended. If the weather has been dry for a few weeks, you can get away with a sturdy pair of sneakers. Most of the year hiking boots will be the best way to explore the greenery in Luxembourg. The Grand Duchy gets cold during winter. Expect everything from snow-filled days to rain and wind. That doesn’t stop the locals from going out and about, it’s all about wearing the right clothes! Temperatures between -2 to 6C or 28 to 43F are quite normal. To explore the Luxembourg winter, you are going to want to bundle yourself up! Basics such as some thermals and anything wool are a big plus. When exploring the cities, it’s all about layering. The cafes and restaurants are used to this weather and will make sure everything is nice and warm inside! Luxembourg locals always love a classic pair of jeans and their trick is to wear some nylons underneath if it gets really cold! Combine your jeans with a cute long sleeved top and a thick sweater. Staying in the city will allow you to add the odd dress to your outfit collection. Make sure to combine it with wool leggings and some snow-proof boots! Here’s the best skinny jeans for travel! If you are wandering outside, you will want to top it off with a winter-proof jacket, a wool hat, gloves and a big scarf! Don’t forget to stash your umbrella in your bag because you will most likely need it. Are you going for hikes through the snow? Make sure to bring your waterproof hiking boots and thick wool socks. Never leave without a wind- and waterproof rain jacket with a hood and that cozy wool hat. Europeans come alive again during the spring. Eager for a bit of warmth, as soon as the spring’s highs of 20C or 70F hit, you’ll see the dresses come out. Locals will maximize those first rays of sun on one of the many outdoor terraces. Don’t be too enthusiastic because with spring also comes a lot of rain potential cold snaps with lows of 4C or 39F. In spring, the locals are eagerly waiting to ditch the wool jumpers and leggings and start wearing dresses and shorts again. Not too fast though, those first rays of sun during the day are often accompanied by rain and the cold nights. If you are bringing a dress, pack a pair of nylon stockings and combine with a rainproof pair of ankle boots. Layers are key for Luxembourg in spring. Leave the bigger sweaters and layer thinner layers instead. Bring tank tops, loved sleeved tops and cardigans or light sweater to top it off. A jacket is needed all year round in Luxembourg and spring is no different. As per usual, an umbrella and scarf are not to be missed. Take a look at these cardigan outfit ideas for your next trip! Warmer nights are finally in the country! While there will still be rain during parts of summer, the occasional outdoor BBQ can be had. Expect lows of 10C/50F and highs around 22C/72F. 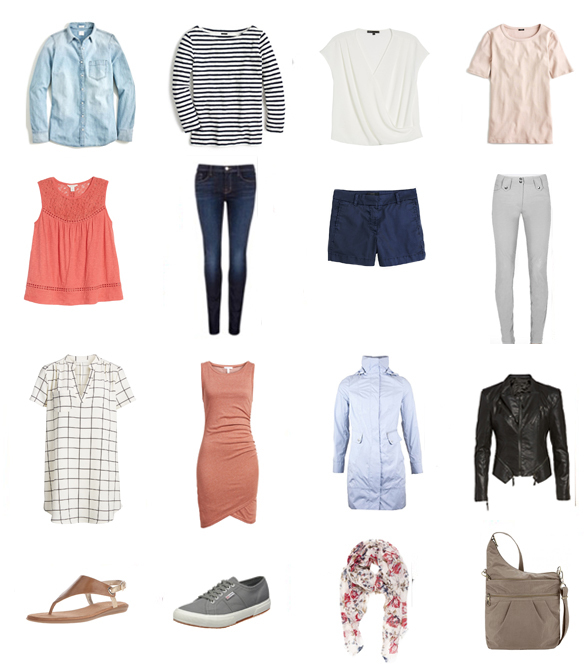 Your summer packing list should include your favourite dresses, shorts and tops. Don’t forget to pack your sunglasses and sunscreen is crucial as well. Evenings in Luxembourg always get colder than in countries such as Spain and Italy. Therefore, evening drinks should always be accompanied by a light scarf and even a light jacket. Find out which of the best tinted sunscreens will keep your skin looking smooth and flawless! Summer is the perfect season for hikes, bring some sturdy walking shoes for Luxembourg’s beautiful nature. In the city, a nice pair of sandals will do. Always anticipate for a colder day by bringing a pair of sneakers and an umbrella nonetheless. “When it rains during autumn, it pours” is a popular saying in Luxembourg. With lows of 2C/36F and highs of 13C/55F it gets cold fast. It is, however, a gorgeous time of the year to visit as the forests will be changing colour. As rain is prevalent, your autumn packing list should have the basics to protect you: a rain jacket with hood, an umbrella and rain and mud proof boots. You will also want to add some warmer layers to your luggage and maybe even a nice thermal. Wear tank tops underneath your long-sleeved tops to add warmth and to allow yourself to take layers off easily when inside. The outdoors are equal parts beauty and mud during this season. A sturdy pair of hiking boots will be needed to explore the hiking trails around Luxembourg. With the right gear, there is nothing to hold you back! 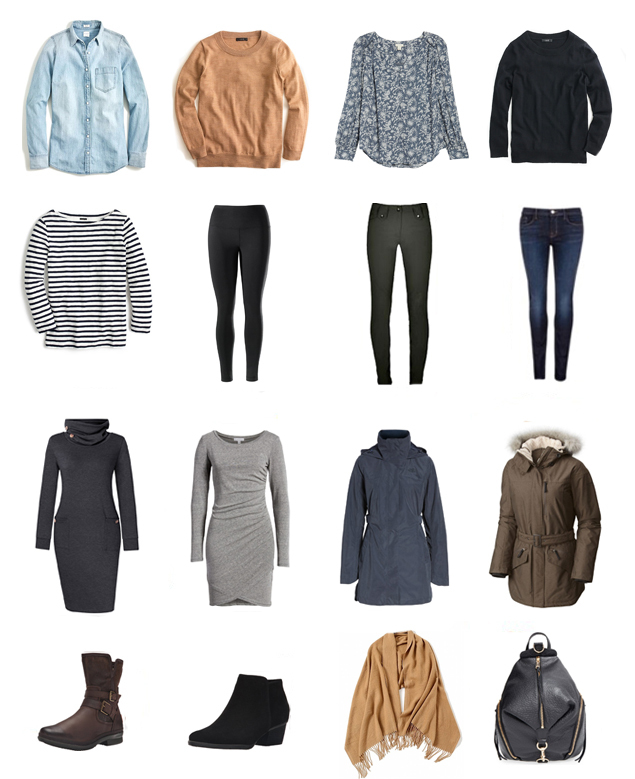 Find out why thermals are a must for traveling light (and staying warm) in Europe! 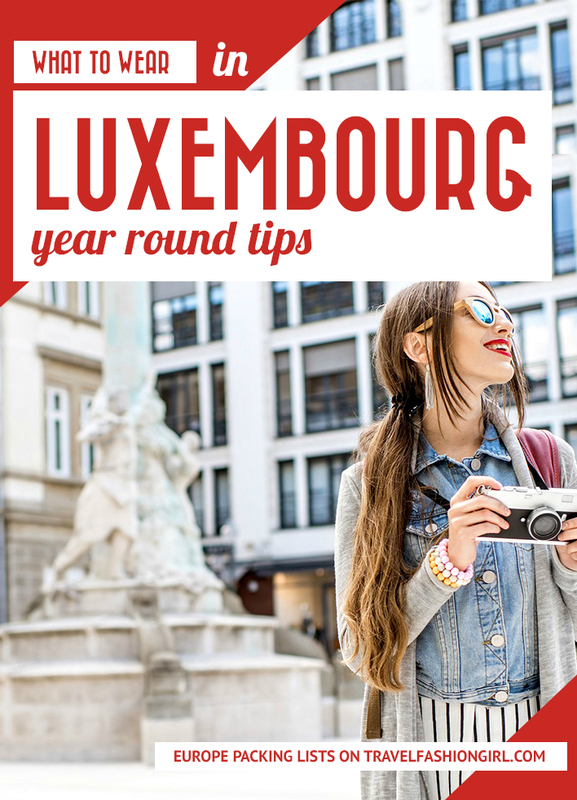 What are your tips for a Luxembourg packing list? Comment below! 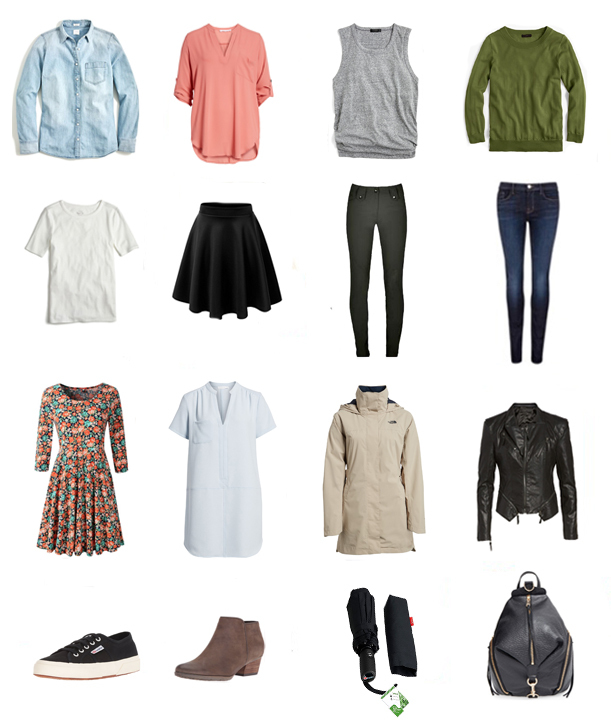 Please read our Ultimate Packing List for Europe featuring stylish tips for multi-country travel. 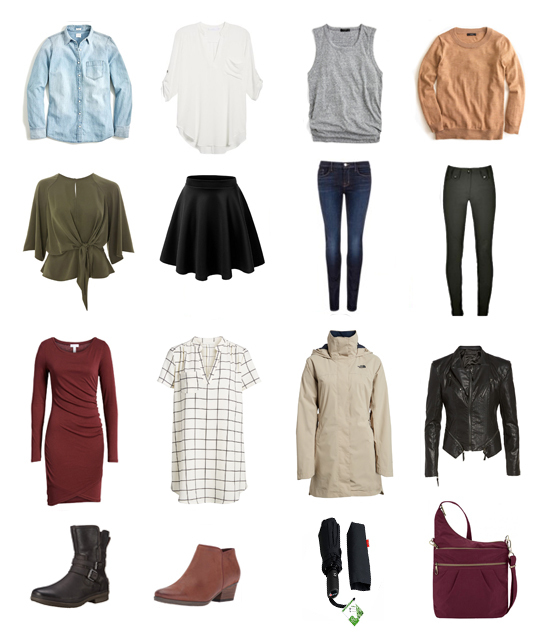 I hope this packing list helps you plan what to wear in Luxembourg. Don’t forget to share the love on Facebook, Twitter, and Pinterest. Thanks for reading!